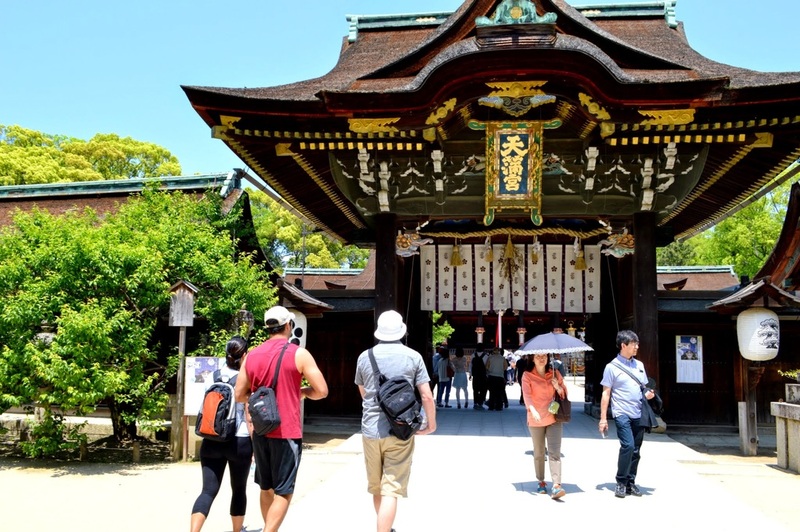 After cycling through some of Kyoto's most famous streets, we visit one of the most famous shrines in Kyoto, Kitano-tenmangu. This shrine is dedicated to a statesman and scholar who became deified as a god of thunder after his banishment from Kyoto and vengeful return as an angry spirit after death. This place is remarkable for it's many old wooden structures set amongst thousands of plum trees. It is also a place where students pray for good exam results. After that we visit the Kamishichiken Geisha District nearby for a look at the smallest and quietest geisha area. Here we can soak up the classic atmosphere and maybe even see a geisha on her way to work. This tour covers a lot of ground in a day but we can see a lot of the city as we roll past on our bikes. 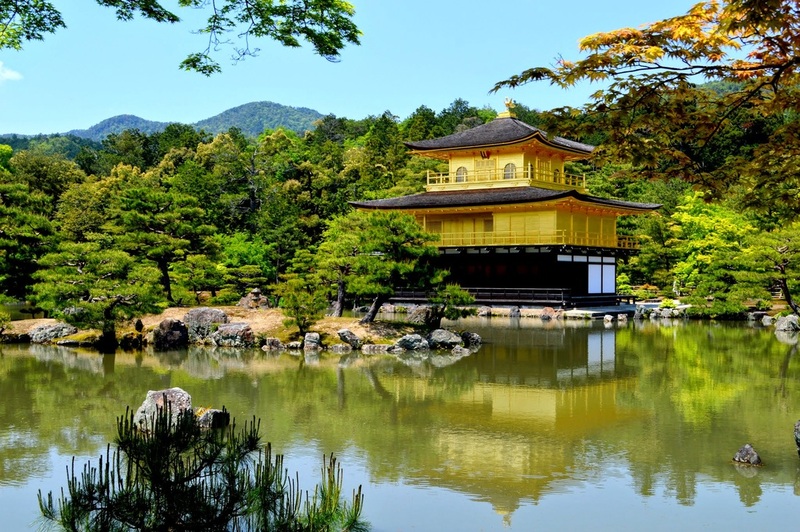 We then make our way across town to Kinkakuji the Golden Pavillion. This is one of the most spectacular sights in Kyoto and a UNESCO World Heritage site with lush gardens and plenty to take in. One of the true "must see" temples in Kyoto. We can grab something to eat before or after taking in this remarkable sight depending on the mood. Next up is one of the zen rock garden masterpieces, Ryoan-ji. 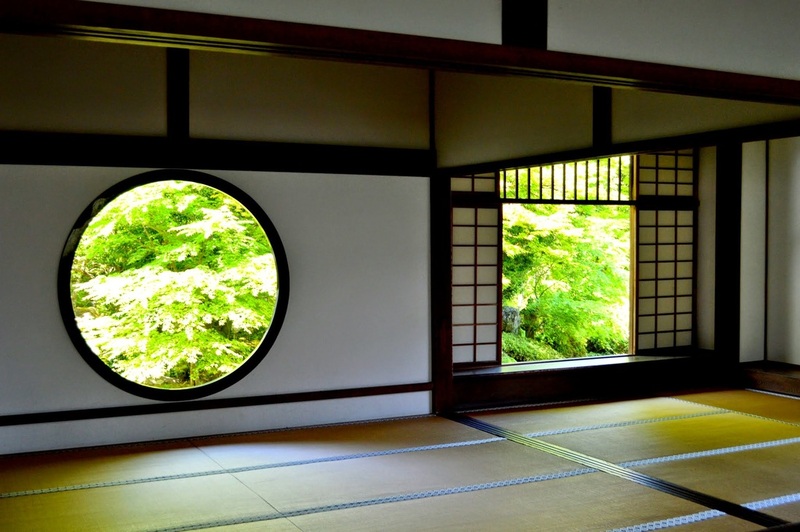 This zen temple has a unique history and is a nice quiet place to look out at the garden and feel the quiet calm that it is meant to bring to mind. Here we will tell you more about zen buddhism before we exit through a beautiful garden and ride all downhill all the way back to town. A fun way to see three of the most famous sites on the West side of town.